Allah S.W. T have created human beings just perfect, most of us did not notice His creation on us. What made us not really as perfect as it should be is that, some of us did not use their mind, although we have this ability to think, or may be some us just ignore this. because of personal bad intention to others. We know the truth, or the consequences of our actions, but strong desires overcome our brilliant mind. to think positively. In ancient era people fighting with each other to survive, to get a throne, the strong will survive and the weak will be down. That was a time of uncivilized people. But today we are in well-educated,and high-tech era, although there is a few who is an illiterate, as I’ve observed most people who did crimes for now a day are highly educated persons. I even asked myself why people in these level can’t even control their emotions, can’t use their mind to think? Thy are well-trained, well motivated and even well-disciplined persons, still doing bad, or even worst to others. What about the uneducated not to do that? Its better may to be an illiterate, they even know how to love others, they are more respectful than educated one. These are what happen if we neglected our religious belief and responsibilities. most of educated person have high knowledge of everything, including religion of every race in this world. We just don’t think deeply that we are created to love, to respect each other and to keep up peace and live in harmony with every people in this beautiful world. What a pleasant life we have if all people in this world do what our religion told us to do. There is no religion teach his followers to do bad things, but it’s we people does, neglecting our responsibility as a human. Aku bertanya pada ibuku, “Bagaimanakah lelaki sejati” ? Kepada lelaki, And bagai mana? Shall we dance? Grab the chance to experience street dance lessons at. Lahad Datu, Malaysia, 28 April 2011 – Deksi Systems has released new product – Useful modeling system to get Web sites. A rollover button changes own picture when cursor travels around it. The rollover button actually includes two or three graphics: the normal state image, mouse over image, which occurs once the mouse pointer walks across the button, and mouse down picture that appears when user clicks the button. Product has a tool called Web Album which lets you computerize complex jobs of adding pictures, developing thumbnails (a small illustration of a picture, generally having a link to a full-sized primary picture), and setting proper references to the native graphics. The software includes different thumbnail frames to create a artistic and fashionable Web Album. The program contains easy-to-use tools to make never seen rollover controls. Creates necessary graphics and Java script. Resolution-independent vector objects can be altered with no harm of quality. The filling gradients and patterns enable to produce interactive effects with eye-catching realism. Aids you prepare Online sites without having to know HTML. Simply manipulating with project objects. 16 Ways to Make Yourself Unfireable – Yahoo!. Richard Branson unveils deep-sea submarine plans – Yahoo! Richard Branson unveils deep-sea submarine plans – Yahoo!. Dr Asri: Tarian poco-poco tak wajar diharam – Yahoo! Dr Asri: Tarian poco-poco tak wajar diharam – Yahoo!. Ring of Fire – Pacific Ring of Fire. As one of the countries involve in the ring of fire, Japan‘s recent earthquake was another shocked to the public and the whole world after the 2004 tsunami happening in Ache and the other counties around Indian Ocean. The picture below shows the map of the active volcanic activities through out the world. Japan is one those counties in the street of ” The Ring Of Fire” This natural phenomena nothing could stop even the high tech country. Thus this made me to think of God‘s power not any one in this world can or will stop it. What we have to do is to pray for our safety, for those who are believers. Be alert and accept that what ever happen is in God’s own ability and power. Be prepared to what ever happen on us , as we already know that there are natural phenomenon will occur in the future. I sympathized on what was happening in Japan, but I just could say my prayer. to those who were badly affected by the tsunami. As stated in the associated press that millions of people were facing a fourth night without water, food or heating in near-freezing temperatures in the devastated northeast. 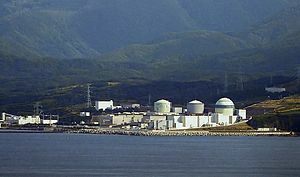 Meanwhile, a third reactor at a nuclear power plant lost its cooling capacity, raising fears of a meltdown, while the stock market plunged over the likelihood of huge losses by Japanese industries including big names such as Toyota and Honda. Thus this may causes lost of income in the country. Funeral problem also occur, “”We have already begun cremations, but we can only handle 18 bodies a day. We are overwhelmed and are asking other cites to help us deal with bodies. We only have one crematorium in town,” Katsuhiko Abe, an official in Soma, told The Associated Press. I hope these will end very soon so that people of Japan especially those in the affected area could start there livelihood as usual. Scenes of destruction after Japan’s tsunami, quake – Yahoo! News.